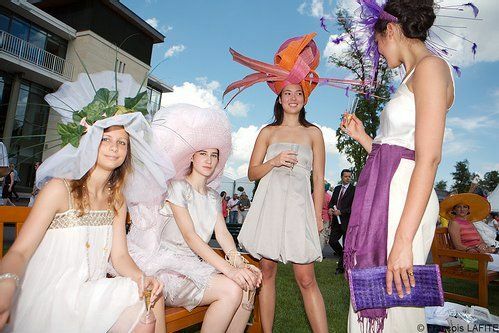 If there is a place where elegance is required, it is on the racecourse at major horse races of international reputation. The Prix d’Amérique, the Prix de Cornulier, the Prix de l’Arc de Triomphe, the Grand Steeple Chase de Paris … all those names are synonymous of elegance and are meant to make you dream ! Horse racing: tradition and modernity! 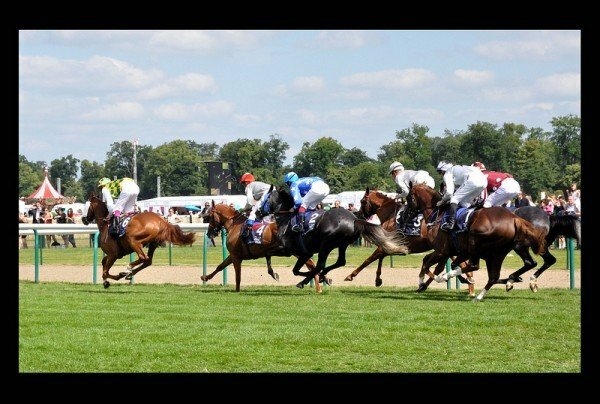 If you’ve always wanted to discover the world of prestigious horse racing and to live an exceptional experience, the 165th edition of the Prix de Diane Longines, only accessible to 3-year old fillies, will meet your expectations. Prestigious horse races have long had an image of a posh social gathering: how can we forget the cynical yet hilarious representation given in My Fair Lady, when young Elisa Doolittle, immortalized by the divine Audrey Hepburn, is introduced at Ascott in a world that is not hers ? However, in recent years, organizers have been successful in reinventing the races and making them more accessible to everyone. Nowadays, no need to come in a car with chauffeur or to have an old aristocratic family name to access the event. The price of admission tickets is pretty low and can be coupled with train tickets to go there. However, a necessary condition remains: to respect the codes of good taste and elegance. This is an opportunity for women to wear their best hat, which will be all the more appreciated as it will be fantastic, and even exuberant! The Prix de Diane in numbers. – 2100 meters: distance to the finish line. This is the longest race of fillies in Europe. – 1500 persons: the number of people working in the organization of this event throughout the year. – 3000: The number of hat boxes prepared in advance to distribute the picnic. – 1 €: the price set for each cup you bring back where you bought them. A contribution to reducing wastes. – 1 million €: the total allocation of awards, including € 571,400 for the winner of the Grand Prix. In addition to the race of the Prix de Diana itself, and in between other different races, other attractions will punctuate the day and add to the glamor of the event. At 12:30, the French singer Julien Doré will give a free concert. At 4:10 p.m., Kate Winslet will award the prize of elegance, chaired by Sophie Thalmann (Miss France 1998). From 19h to 21h30, DJ Marie-Amélie Seigner will set fire to the After Diane by Deezer. Ensure you book your trip to Paris with ParisByM and you will get a program with top things to do.